Ukraine plans to create a map of Antarctica based on space images in spatial-temporal dynamics. 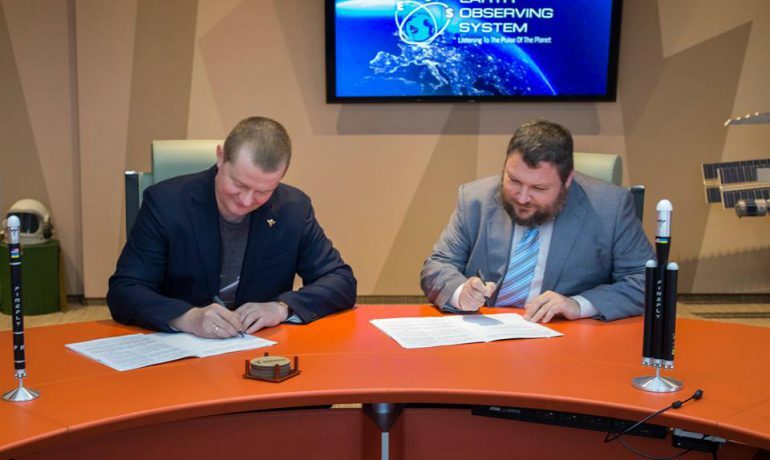 This is envisaged by the Memorandum signed on February 6, 2019 between the State Institution National Antarctic Science Center and the international company EOS DATA ANALYTICS, INC which deals with the comprehensive analysis of data from space systems. The project will include monitoring of the Antarctic ice cover, sea bloom, the spread of vegetation on the continent, etc. “At Akademik Vernadsky we are already exploring the ocean in partnership with business and are lacking only a view from above, from where it is possible to monitor processes of a large spatial scale. Now, thanks to the EOS, we have received the possibility to see Antarctica from space simultaneously”, says Evgen Dykyi, NASC Acting Director. «For today the potential of Antarctica is not sufficiently studied, but it is already clear that the strategic resource of our planet is stored there. The activity of EOS as a socially responsible company coincides with the environmental focus of research projects, conducted by Ukrainian scientists in Antarctica», – said Maks Polakov, CEO and EOS founder. It is expected that the first results of cooperation will be seen already in March this year.